Is sun exposure beneficial to our health, or is it damaging? It’s a known fact that the British have a complicated relationship with the sun (and we aren’t referring to the questionable publication often found taking up valuable seats on the Tube). We’re constantly reminded to slather on sunscreen to protect our skin from cancer, yet we read headlines exclaiming that many people face vitamin D deficiency due to the country’s lack of sunshine. With such mixed messages regarding that glorious, flaming ball of orange in the sky, what are we to believe? Is sun exposure the disease-causing death knell we’re warned about, or is it the the key to good health and a bright disposition? There’s no doubt that sun exposure has its benefits. Sunlight helps set our circadian rhythm, signalling to our bodies that we need to release the chemicals that make us feel energized during the day and tired at night. Just think about how jet lagged you feel after an international flight –the body’s circadian rhythm is thrown off, and it takes exposure to daylight to regulate your internal clock again. And what about that good old vitamin D we’re always talking about? It’s true – many of the benefits of sun exposure are related to vitamin D, which the body manufactures in a chemical process when sunlight hits the skin. 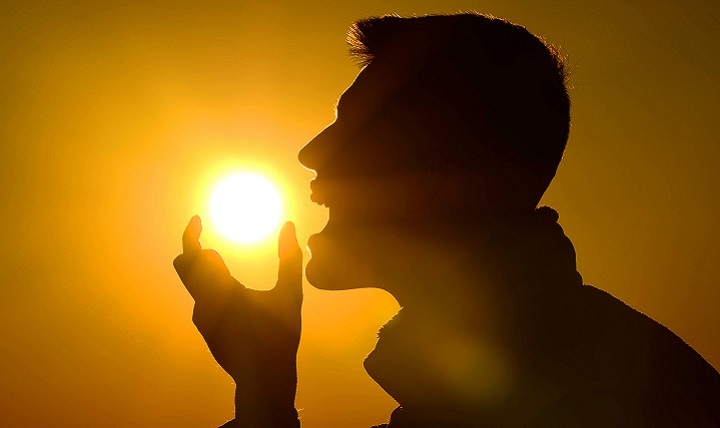 There’s a good reason cheerful people are sometimes referred to as ‘sunny’, while depressive types are labelled ‘gloomy’ – studies have established a link between deficiencies in vitamin D and greater occurrences of depression. Furthermore, vitamin D is necessary for bone health, as it helps the body absorb calcium, while lack of vitamin D is associated with rickets, cardiovascular disease, asthma and even cancer. In fact, recent studies have found that vitamin D deficiency could contribute to a whole host of chronic and infectious diseases, from multiple sclerosis to the seasonal flu. If that list of maladies doesn’t have you desperately running outdoors to drink in some sweet sunlight, we don’t know what will! With vitamin D insufficiency affecting nearly 50% of the world’s population, it seems we could all do with a little more time spent in a sunny, tropical locale – especially given the news that Britain’s notoriously grey weather might not be able to meet our vitamin D needs at all. But then we’re faced with the extensive body of research that demonstrates how sun exposure can damage the skin, and we’re forced to reconsider booking that beach holiday. The link between UV radiation from sunburn and skin cancer is well-established: getting a sunburn just once every two years can triple your risk of melanoma. All of this conflicting information leaves us with a dilemma. Should we cower from the sun, protecting our delicate skin from its dangerous rays, or should we bask in the heat? The answer, as with so many things, is moderation. It’s true that sunlight is good for us – but there is no ‘one-size-fits-all’ prescription for how much sun we should get. Some reports say that spending a few minutes outside during the middle of the day without sunscreen is sufficient for vitamin D intake, but exact numbers will vary depending on lifestyle factors and skin tone. It’s also important to note that this time in the sun should not be enough to cause sunburn or skin reddening, which is a sign of sun damage. If you’re spending enough time in the sun to get a burn, make sure you’re liberally applying sunscreen – or having an attractive lady friend apply it for you. The fact still stands that many people face vitamin D deficiency despite attempting to get enough sun – and here, supplementation may be necessary. Get in touch with the doctors to learn more about vitamin D supplements, and how you can keep up a cordial relationship with that magnificent morning star. Sam Cohen is a blogger. he writes on various topics related to lifestyle.